Farmers all over the world have to decide what to produce and how to go about it. In the tropics, small farmers have to work with a limited resource-base which usually does not lead itself to highly productive systems of consistent crop and animal production. Yet those people who live in developing tropical countries should be concerned that their farmers do produce more from the limited resources with which they have to work. 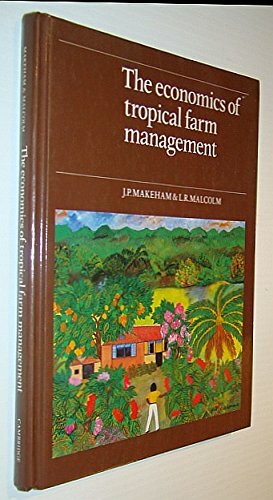 The principles of farm management economics and the applications of the tools and techniques of farm management analysis and planning can help small farmers in tropics to produce 'a bit more' from their lot. 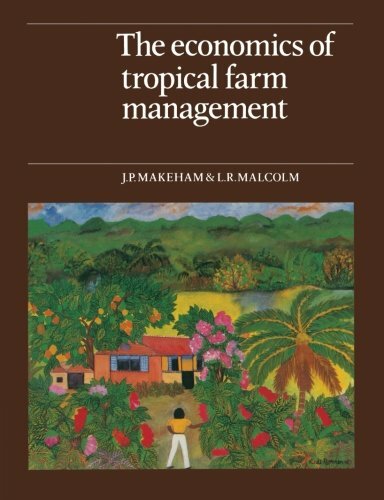 For the benefit of teachers and students of agriculture, farm extension advisors and agricultural planners and managers, this book sets out the principles and practices of farm management economics on small holdings in the tropics in a clear, simple, useful and usable way. In the tropics farmers have to work from a limited resource base which does not lend itself to highly productive crop and animal yields. The principles of farm management economics and the application of farm management analysis and planning can help small farmers in the tropics to produce 'a bit more' from their lots. Makeham, J. P.; Malcolm, L. R.